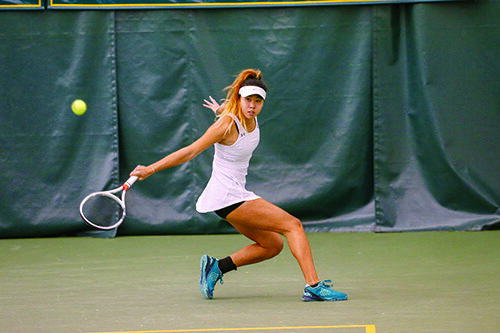 Auckland to Williamsburg: Rosie Cheng '20 brought her tennis skills across the Pacific to play for William & Mary. How do you connect with someone when there are 8,500 miles and an ocean between you? You send them a Facebook message. That is how Rosie Cheng ’20, from Auckland, New Zealand, ended up playing tennis at William & Mary. Cheng always knew she wanted to come to the U.S. to play college tennis, but W&M wasn’t on her radar until Assistant Coach Jesse Medvene-Collins reached out to her on Facebook. With financial assistance from a scholarship, Cheng made the long trek from New Zealand to Williamsburg to start her college tennis career. Though it was a long journey, it was one that Cheng had been preparing for from a young age. Though Cheng was ready to play tennis in the U.S., adjusting to a new country as well as navigating her freshman year as a student-athlete was a new challenge. Juggling both, Cheng aced every challenge that arose at William & Mary. She credits her team with helping her find balance. Before coming to William & Mary, Cheng had always focused on improving her own skills on and off the court. Cheng has turned to her team on many occasions. With the support of her teammates and a dedication to the sport, Cheng has thrived. As a sophomore, she has been ranked in the Oracle/ITA National Top 100 twice and is an ITA Scholar-Athlete. 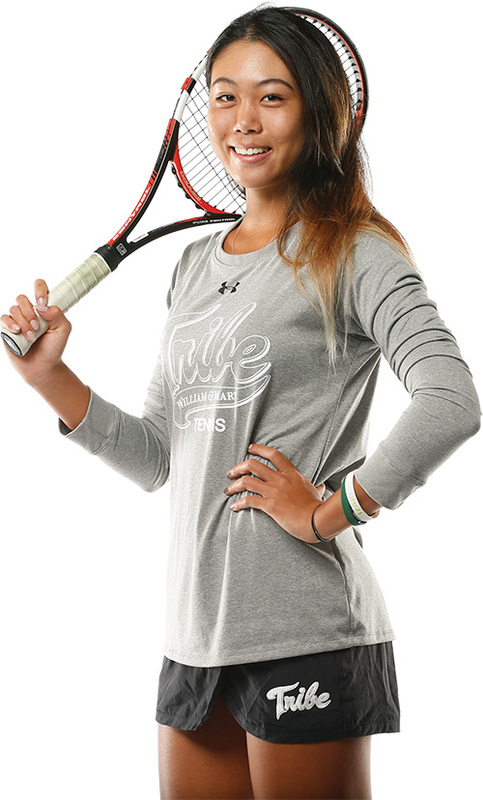 She is one of six W&M tennis players to be an ITA Academic Awards recipient. Off the court, Cheng recently earned admission to the Raymond A. Mason School of Business. Cheng has already been exploring her interests in finance, serving as assistant chief marketing officer for Smart Women Securities, a not-for-profit organization that focuses on educating collegiate women in finance and investing. Cheng also works as the lead on the tennis team on community outreach, hoping to engage with the larger Williamsburg community. Having already accomplished so much in tennis and her academics in just two short years at William & Mary, Cheng is ready to take her tennis to the next level.